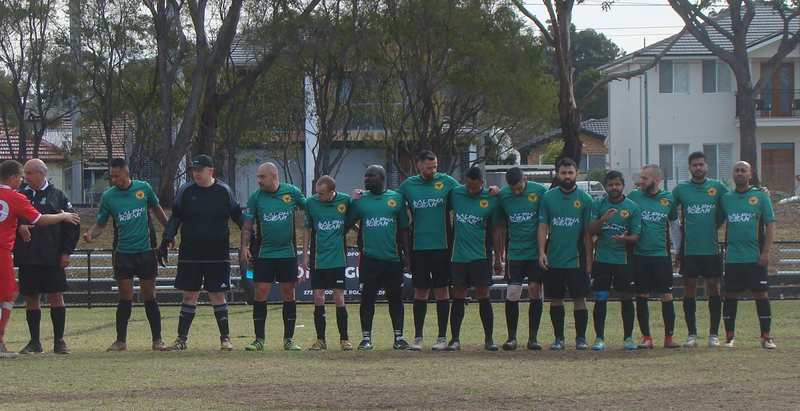 Holroyd Rangers Soccer Club Inc.
Congratulations to our AAM5 team - Grand Final Champions! This team played strong all season and finished as Minor Premiers. Won the major semi to go straight to Grand Finals. A nail biting Grand Final match - nil all at full time. In extra time Holroyd scored in first few minutes, then Lidcombe scored in the second half of extra time. Penalties were pretty equal until Holroyd finally prevailed. Some incredible saves from the Holroyd goalie. Most Valuable Player was Samuel Bonsu from Holroyd Rangers which was well deserved as he put his body on the line numerous times and never stopped chasing the ball. Great speech by Daron paying tribute to their strong team bond. Wear your emerald green and be there to support our team! 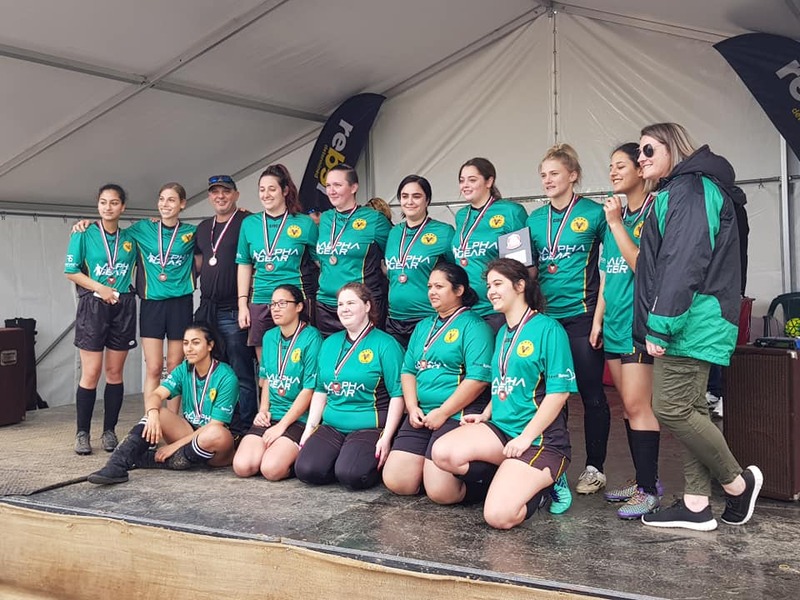 The AAL/3 Grand Final was a thrilling game that had the large crowd entertained throughout. Unfortunately our Holroyd team went down 4-2 but they battled courageously and never gave up. With their regular goalkeeper away and with so many players battling injuries and illness the whole team persevered and were gallant in defeat. On the day the Minchinbury team were the better side and deserved winners. A bright start saw Shania poke home the first goal inside 2 minutes. In the 4th minute a set piece, a goal mouth scramble, and Minchinbury equalise. Late 1st half a well placed free kick saw Minchinbury take a 2-1 lead into the break. 2nd half and Minchinbury kept attacking and we continued to defend and to push forward with attacks of our own. Alas it was Minchinbury who scored next to take a crucial 3-1 lead. A well-timed run forward from Suzie who latched on to a delightfully played through-ball and she smashed home her shot. 3-2 and game on! But alas despite our continued attempts to get an equaliser it was not to be and Minchinbury grabbed their 4th with a few minutes remaining to seal their victory. Our girls displayed terrific sportsmanship and kept their heads up the entire time. Injuries really took their toll on this team late in the season. We are so proud of what this team has achieved. For playing through injuries, for stepping up to a higher division, and for giving your all on the field. You endured the regrading issue to div 3, finished 2nd on the table, scored the most goals and had the least goals scored against you in AAL/3. You are such a credit to our club and are great role models for our other teams for your gutsy performance, not just today but through the entire season. You have all had such an incredible journey and have grown so much in skill and you should all be proud of that. Holroyd Over 30 Ladies div 2 team win Grand Final! On Friday 24th August Holroyd Rangers 030 Division 2 Womens team triumphed with a 1-0 score to be crowned Grand Champions. 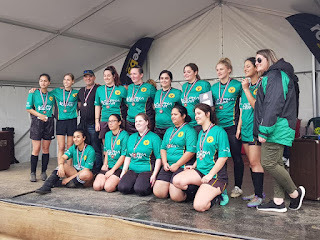 The score is not a real reflection of the game as our girls controlled the play almost the entire time, winning countless corners and going so close to scoring several more goals. Our goal came in the 7th minute when Shannon at right back hit a scorching long range strike that was superbly placed into the left corner of the net. We continued to press and put in cross after cross and shot after shot. Our midfielders were running riot in the centre of the park and using the width of the park very well. Our defensive line was superb with Minchinbury not getting anything close to a shot on our goal. The few times Minchinbury carried the ball forward our backs were quick to shut them down and to win the ball and play it forward. Our GK was only required to pick up the ball on a handful of occasions. 2nd half and we won a penalty 7 minutes in and although it was very well hit the Minchinbury GK pulled off a superb save to keep them in the game. We continued in the same vein in the 2nd half with almost all the play in the front third of the field. Again we won countless corners and put them under immense pressure but somehow another goal just would not come for us. A couple of brief counter attacks were again quickly snuffed out. After 90 minutes (plus stoppage) it was over and with a 1-0 scoreline our girls were Grand Champions! A huge thank you to the large crowd of Holroyd supporters who turned out to cheer our girls on. It made such a great difference to the team to hear the support from the sidelines. 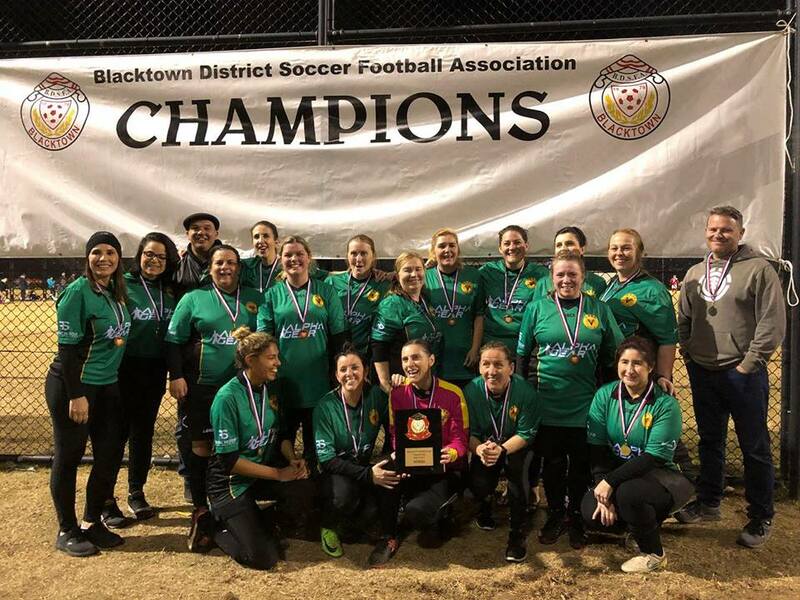 Congratulations to the Holroyd Rangers Soccer Club O30s Women team. Congratulations to our 3 Holroyd Rangers teams who have qualified for their Grand Finals. Wear your emerald green and be there to support our teams! Checkout the great photos and become a fan! 1. Register now at myfootballclub.com.au. 3. Once you receive the voucher number upload the number to your registration and pay the balance required if any. Looking for a soccer club at Guildford? 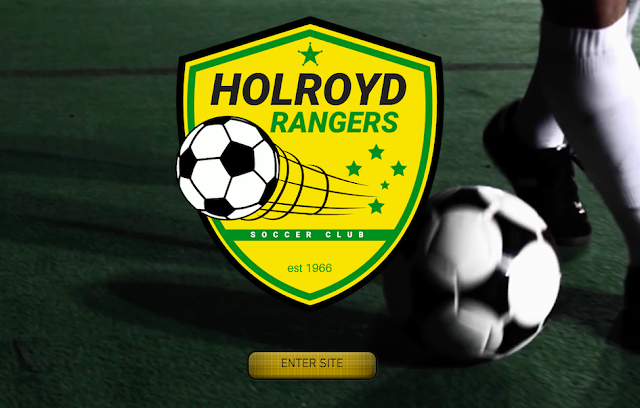 Holroyd Rangers Soccer Club is your local soccer club. We have teams for boys, girls, ladies and mens. 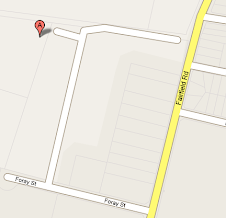 Holroyd Rangers is located at Foray St, Guildford West. 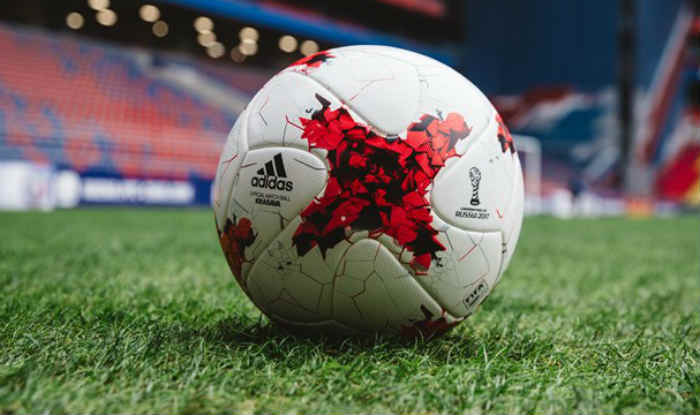 Only players who are registered and fully paid are allowed to train and play in trial games, this is due to insurance purposes.